Edwin is a co-founder and executive director of Destiny Group, which held diverse investments in the Property, Services, Industrial Gases and Pharmaceuticals industries. Since 2012, Edwin has been leading Destiny’s energy project development teams, currently involved in developing cogeneration projects and Battery Energy Storage projects, LNG conversion to power and LNG supply projects, an acquisition of natural gas producing fields, electricity agreements and signing distributor and licensing partnerships with international leaders on the energy value chain. Between 1994 and 2005 Edwin worked at Citibank CIB, Deutsche Bank and as Head: African Corporate Finance and Debt Capital Markets for Barclays Capital. He has deep experience in structuring and financing corporate lending, investment banking and corporate, structured and project finance in the mining, oil and gas), telecoms and infrastructure sectors across Africa. Nkosi is a co-founder and chief executive officer of Destiny Group, which held diverse investments in the Property, Services, Industrial Gases and Pharmaceuticals industries. 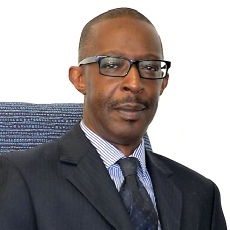 Since 2012, Nkosi has been leading Destiny’s energy project development teams, currently involved in developing cogeneration projects and Battery Energy Storage projects, LNG conversion to power and LNG supply projects, an acquisition of natural gas producing fields, electricity agreements and signing distributor and licensing partnerships with international leaders on the energy value chain. 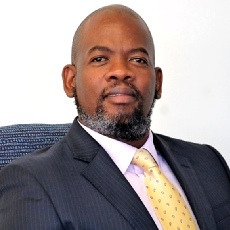 Between 1996 and 2005, Nkosi worked at Accenture Consulting and then as Head: Corporate Finance and Debt Capital Markets for Vunani Capital (then African Harvest Capital). He has deep experience and expertise in operations management across the energy, financial services & transport industries, investment banking and structured and project finance in the resources, telecoms and infrastructure sectors.